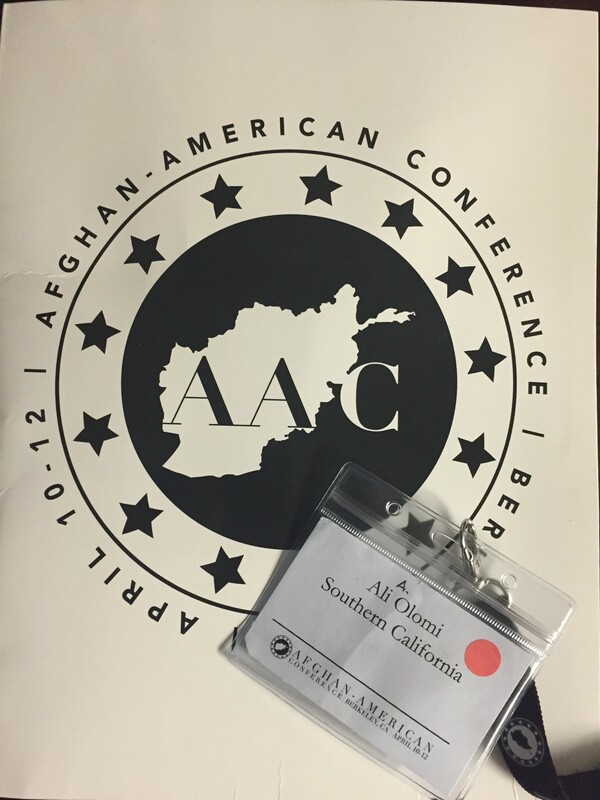 Margaret Mead once said, “Never doubt that a small group of thoughtful, committed citizens can change the world; indeed, it’s the only thing that ever has.” I was witnessed to the truth of this statement this past weekend at the very first Afghan-American Conference at UC Berkeley. While I don’t know what changes we’ll see in the future, I am certain that something has started. Ever since Israeli Prime Minister, Benjamin Netanyahu flew out to Congress to wag his fingers at lawmakers and warn them against supporting the Obama approach to Iran, the country has been splashed all over the headlines. So-called experts have come out in droves to tell us what we should think but, mainly to frighten us about a country that we seem to know so little about. In America, we have an image of Iran that is stuck back in the 1970’s. 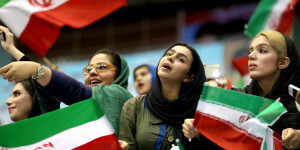 We reduce representation of Iran to a country of dour and scary Imams and oppressed women. Undoubtedly, there is a lot to criticize about Iran, from its hard-line regime to its violations of civil liberties, but we also need to update our outdated ideas about the country. It’s time to see Iran as it truly is; a powerful and key player in the Middle East. Let the pundits spew out their polemic dross all they want, but let’s dispel some myths about Iran. The Hobbit: Battle of the Five Armies was seemingly our last foray into the wonderful world of Middle Earth. 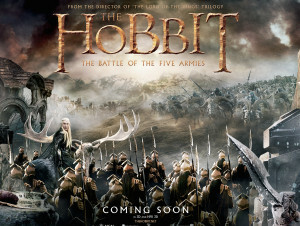 I am of the generation that grew up with Lord of the Rings, having watched it in high school. I saw how the Lord of the Rings brought the fantasy genre into the mainstream and how suddenly Tolkien was cool among my classmates. I read the books long before I watched the movies, but the movies were an essential part of my youth. So my last journey into Middle Earth was somewhat bittersweet. There are no further plans, so as I watched the final installment of the Hobbit, I couldn’t help but feeling like an era of my life was coming to a close. But that is merely my sense of nostalgia, I could always pop in the DVDs for another venture into the fantasy world of Tolkien. 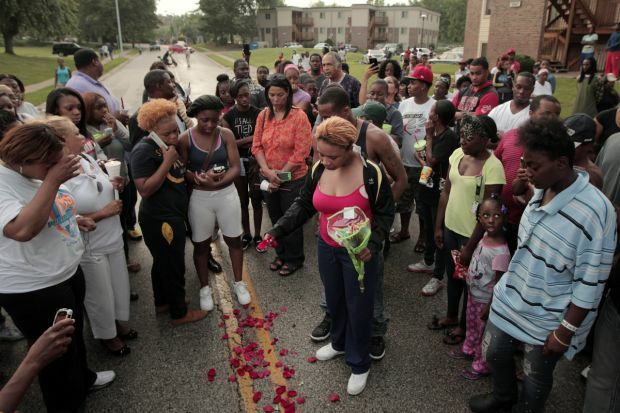 A young black teen is dead and no one will be held accountable. That is what the grand jury told the nation in the case of Michael Brown, who was shot and killed by Officer Darren Wilson. Some were shocked by the outcome, but those more jaded with the ways of our legal system were not surprised. Two of my latest articles have been published. 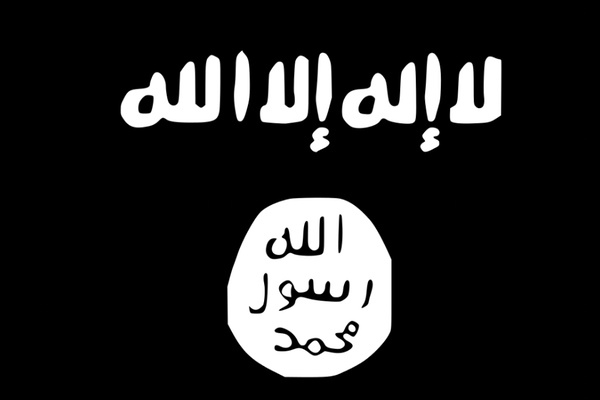 The first is on ISIS and whether calling it medieval or not was accurate. It was published at openDemocracy. You can check it out here. The second article looks at Afghanistan’s new First Lady, Rula Ghani, and the history of Afghanistan’s courageous women that she has to live up to. It was published at the History News Network. You can check it out here. Keep your eyes pealed for more upcoming publications! Tuesday November 4th, Professor Arezou Azad of the University of Birmingham and the Oriental Institute at the University of Oxford will be presenting a talk on sacred landscape in Afghanistan. 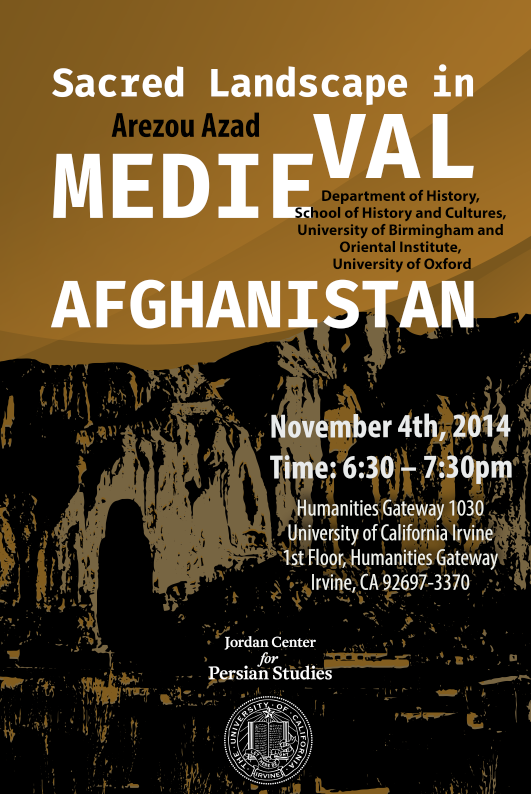 The talk is sponsored by the Samuel Jordan Center for Persian Studies at the University of California Irvine. 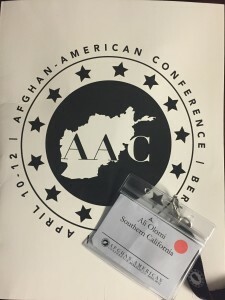 Professor Azad is also the author of a book by the same name and her work focuses on Central Asia, Afghanistan, and Iran where she researches urban spaces and religion. Her book takes a close look at the famed city of Balkh, a cultural epicenter of poetry, religion, and beauty, not to mention the home city of Rumi. Her talk at UCI is not one to miss! It’s open to the public so come by. While you are there be sure to subscribe to Informed Comment. Afghans defied threats of violence and all odds to cast their ballots for president in April. 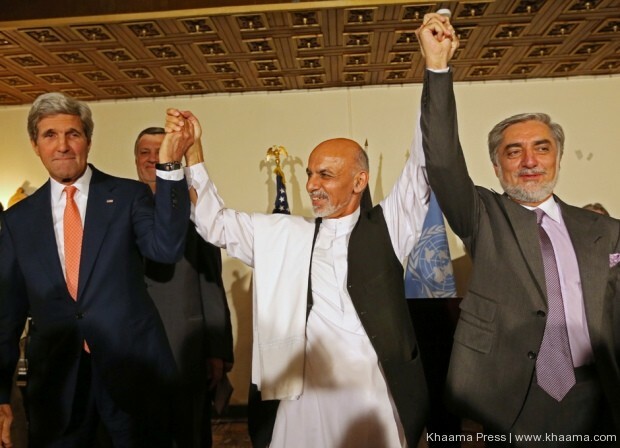 Though initially, results favored candidate Abdullah Abdullah, a former Foreign Minister, it was not enough to avoid a runoff. The runoff began in June with early reports favoring candidate Ashraf Ghani, the former Finance Minister. That was when it all fell apart. Both camps began to accuse one another of fraud and there were demands for a recount and even the threat of forming separate governments. The situation has been in deadlock until this past week.